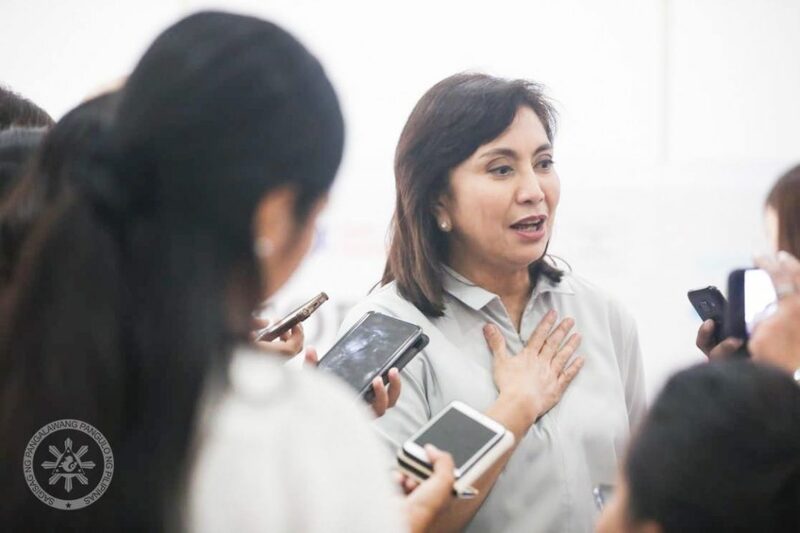 Although Vice-president Leni Robredo thinks that President Duterte is unlikely to betray his constitutional oath, the Vice-president declared she is “ready” to carry out her mandate if Duterte does make good his threat. Duterte earlier threatened to declare a revolutionary government, suspend the privilege of the writ of habeas corpus and arrest critics. 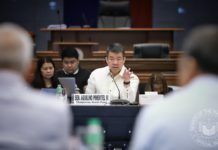 The outburst was believed to be prompted by the call of Senate minority leader Franklin Drilon for the administration to exercise caution when reviewing government contracts. Lawyer Romulo Macalintal, Robredo’s counsel in the on-going election fraud case against her, explained that the leadership hierarchy to be followed in such an event as mandated under the 1987 Constitution is for the vice-president to take over the presidency. “Declaring a revolutionary government would mean that Duterte becomes the leader of a revolutionary government while Robredo becomes the leader as president of a duly constituted government,” he added. 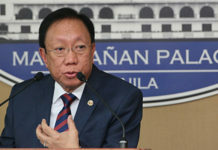 Panelo said the Chief Executive was not threatening the public when he floated the idea that he would declare a revolutionary war or a revolutionary government. 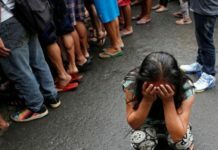 “The threat, if it is a threat, is not against the people but precisely against their enemies, the criminals, the people manning the illegal drug industry, the corrupt bureaucrats, the greedy politicians, the communist rebels, foreign and local terrorists, and other enemies of the state,” Panelo said. He said among the problems that angered Duterte were the bold entry of illegal drugs in the country despite the relentless war against narcotics, unmitigated corruption in government, bureaucratic red tape that has stymied government projects, the seeming impunity of criminals, onerous contracts entered into by government that prevented it from protecting the people’s interests, attacks by communist rebels and terrorist threats. 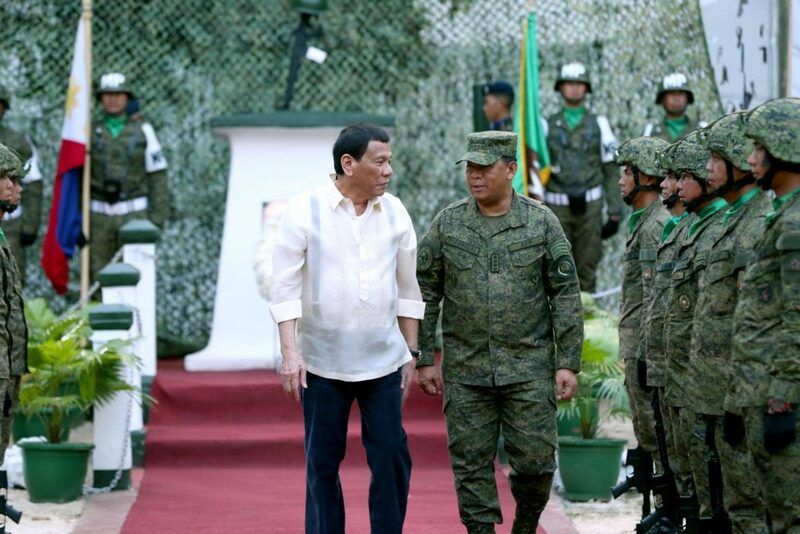 Duterte floated the possibility of declaring a “revolutionary war” after opposition Sen. Drilon urged the administration to be cautious in reviewing government contracts. Drilon said no country or entity would forge deals with the Philippines if the sanctity of contracts is not respected. “I have enough problems with crime, drugs, rebellion and all pero pag ako ang pinaabot ninyo ng sagad, I will declare a suspension of the writ of habeas corpus and I will arrest all of you,” Duterte said during a convention of prosecutors in Palawan. “Why should I be careful in reviewing contracts that are not in the interest of the people? And the onerous and (burdensome) provisions there that the people will have to honor? So, you think I will allow it? Just because we cannot impair the obligation of our contracts?” he added. Duterte also threatened to suspend the writ of habeas corpus, as a safeguard against illegal detention. It is a court order to present the body of someone who is in jail. “So, kasama kayo sa mga rebelde, mga kriminal pati mga durugista. Then pahirapan mo ako, I will declare a revolutionary war until the end of my term,” Duterte said. Robredo said it is in the president’s oath to protect and uphold the Constitution. “There are circumstances when it can be declared and these circumstances are not present right now so this could not be declared. The Vice-president also said that she does not see any present circumstances that would warrant the move.